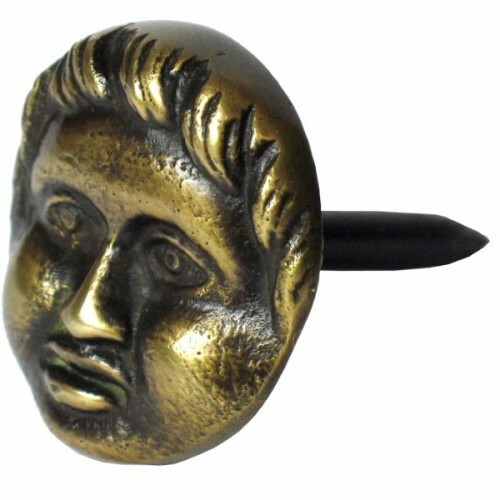 The Gado Gado Round Human Face Clavos HCL1256 (1.19 inch diameter) in Antique Brass (HCL1256) is part of the Gado Gado Collection. Other finishes are available using the item below. 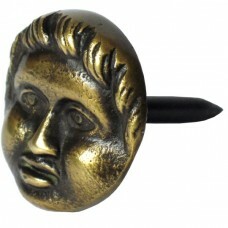 The Gado Gado Round Human Face Clavos HCL1256 (1.19 inch diameter) in Custom Finishes (HCL1256) is p..